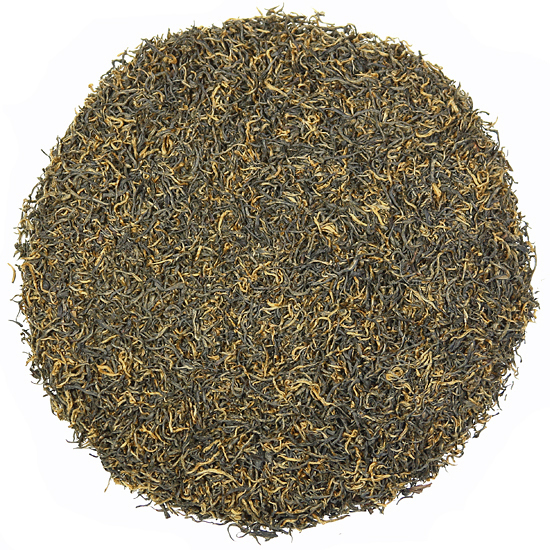 ‘Golden Monkey’ is more of a descriptor than a grade or type of tea. However, that being said, it should only be used to describe what historically has been known as ‘Panyang Congou’, which is a place-specific black tea from eastern China. One of the glorious, wonderful black teas upon which China has built quite a reputation, Golden Monkey (as Bai Lin) may or may not have tip, and may be fairly small leaf up to fairly huge leaf. Depending on the provenance of the bushes or small trees from which the leaf is plucked (and their age), the leaf can also range from being quite youthful and assertive to showing maturity and softness. 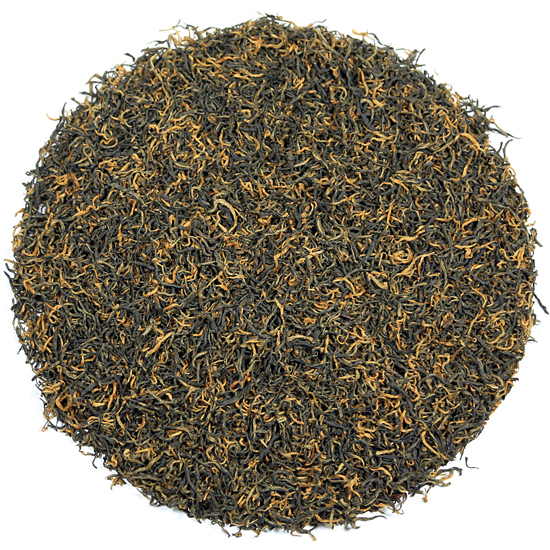 The description of the purveyor will help establish the particulars of the specific tea that you are purchasing. We here at Tea Trekker often offer two ‘Golden Monkey’ plucks. Often one is small leaf and the other large, because they do show quite differently. At the moment we have two Bai Lin offerings and one Golden Monkey. This batch, our ‘Extra-Tippy’, is in the style of what we believe to be the ‘original’ Panyang Congou style: small-ish leaf, well-plucked and nicely twisted, with an even, slightly cacao-y aromatic and flavor that is mounted on a super smooth body. The aromatic is pleasant and inviting and the aftertaste is pleasantly ‘returning’, in the Chinese fashion. This delicious, full0-flavored tea can be drunk neat (in the Asian style) or can be served with almost any normal additive, except lemon – yuk!